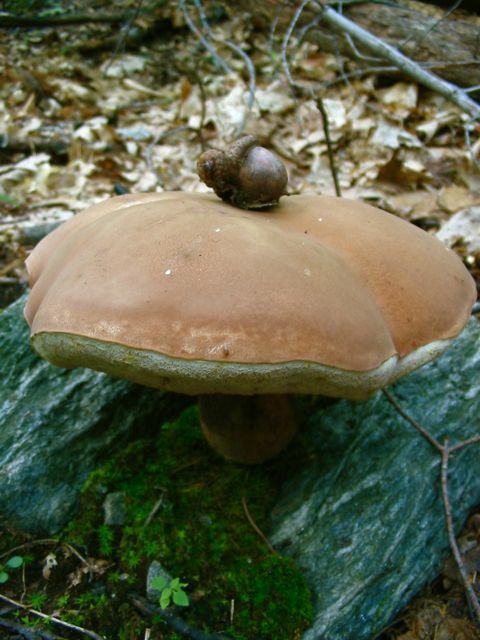 Or this one, also from VT, which resembles a giant puffy pancake. My husband recently introduced me to this online program – a mushroom catalog, detailing which are edible and which lethal. I particularly like the little emoticon faces – from happy to ill, and worse. I visit a local nature refuge several times a week. 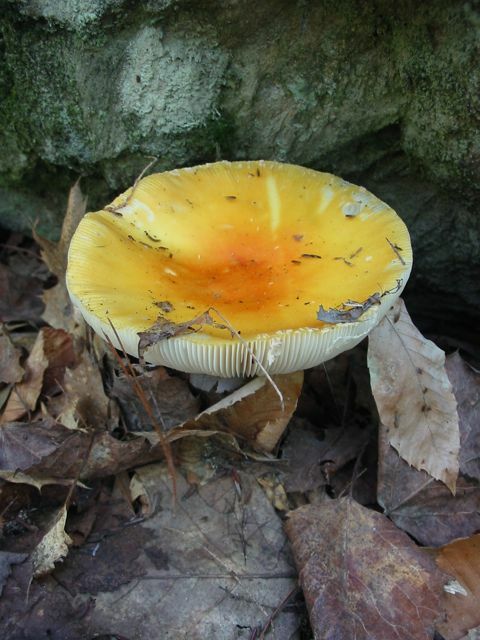 This fall has brought forth several remarkable mushrooms, each the size of a soccer ball. I was FLOORED the first time I saw one. WOW! Look at the SIZE OF THAT THING! Of course my husband and I – being the way we are – immediately grabbed one and began kicking it back and forth to each other. After a few kicks…BAM! it exploded, and we were left with large white chunks. We realized the whole mushroom had been solid, rather than hollow. It struck me as so remarkable that I decided to take a few photographs and do a little research. 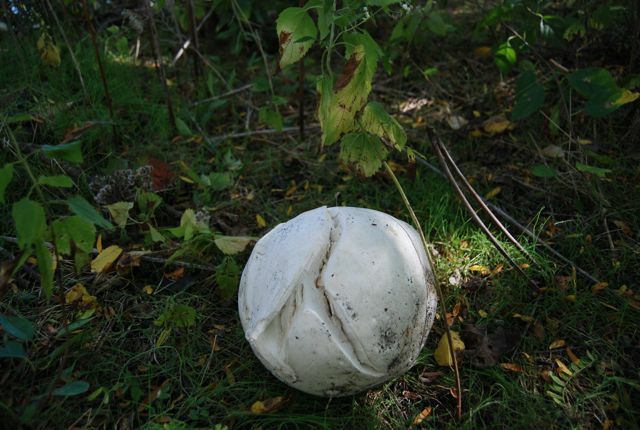 Giant puffballs resemble the white button mushrooms you find in every supermarket, but are smooth solid white globes, lacking gills of any sort. 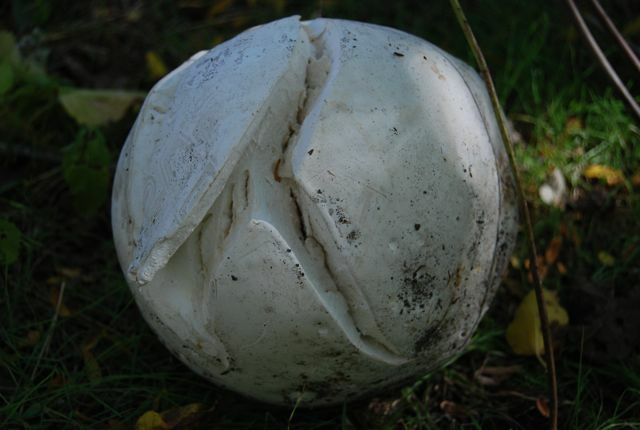 The ones we’ve found have been no more than 12 inches in diameter, but puffballs can be as small as golf balls or as large as medicine balls – some weighing up to 40 POUNDS. 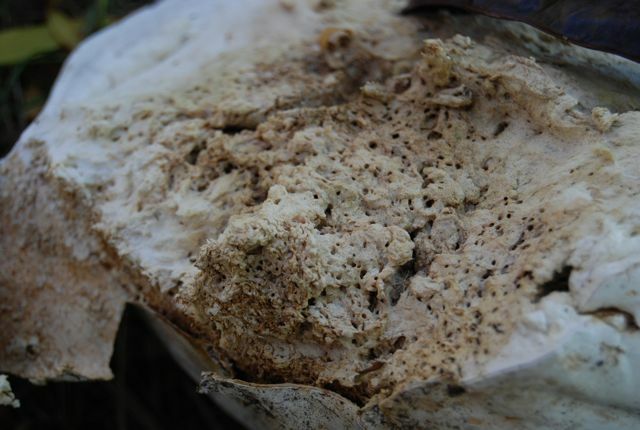 The young, all-white mushrooms are edible and said to be quite tasty, w/ a flavor akin to tofu or melted cheese. For more detailed information on consuming giant puffballs, see the following RecipeTips entry. 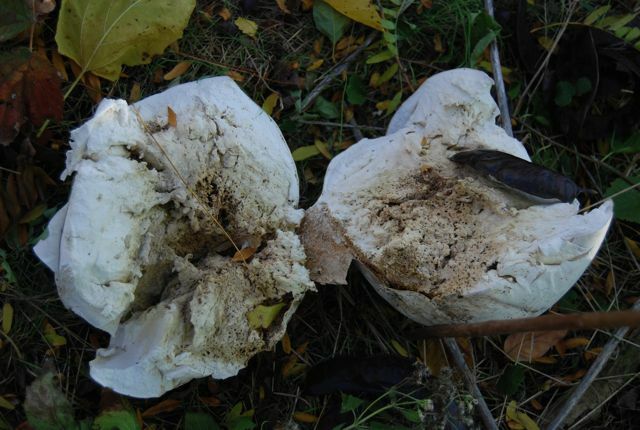 As the Giant Puffballs age, they eventually split and turn yellow, and then brown, as they begin to spore. I found a specimen at Tinicum which had opened and begun the process. 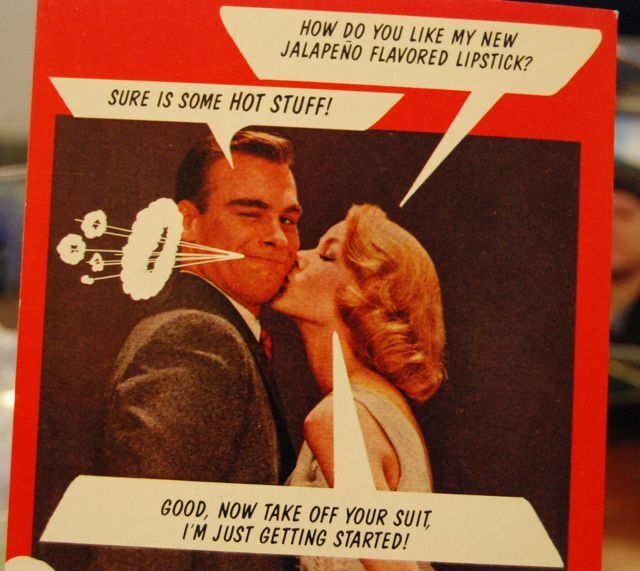 Tom Volk’s entry w/ FUNNY PHOTOS is definitely worth a click. SO. There I was, minding my own business, walking home w/ my family. We’re strolling down Baltimore Ave, as we are wont to do, when I spy a box on the edge of the sidewalk. FREE STUFF. As I never miss a bargain let alone a freebie, I mosey over and take a peek. The box was small w/ just a few t-shirts sticking out the side, but right there on top was a pair of jeans. Hmm. They looked good. New even. Ignoring my husband who told me I was going to get fleas – or WORSE – I snatched them right up. While John stood watching and yelling at Maddie to PUT DOWN THAT T-SHIRT, I unfurled the jeans. WOW. Abercrombie & Fitch low rise flares. Sweeeeet. And not only were they new, but they were NEW! AND also just happened to be my size. My EXACT Size. SHA-ZAM!!! At 5-10 I have a tough time finding pants long enough when I’m actually shopping and paying real money for them – but to find a perfect pair of $80 jeans just sitting there for the taking….??! I TOLD YOU I WAS LUCKY. Life is what you make it. DON’T LOSE OUT.